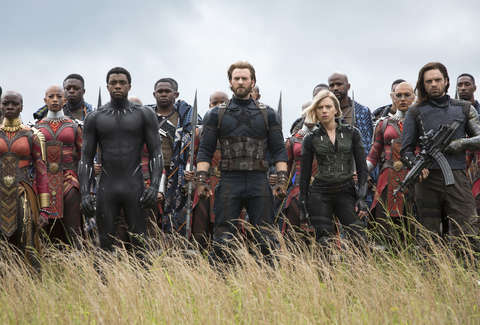 What has more Marvel heroes than Infinity War? A marathon of all the Marvel movies including Infinity War. 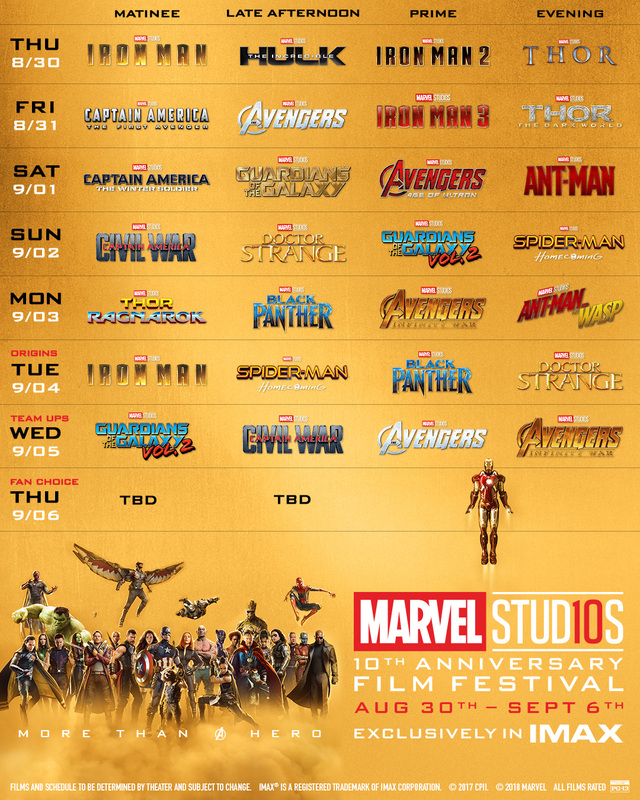 The studio is calling it the "Marvel Studios 10th Anniversary Film Festival," and it will run from August 30 through September 6 in select theaters. And, while the prices vary by theater, the tickets are cheap. (A bit like that Harry Potter marathon, which takes place at the same time.) Browsing through the theaters involved in the screening, you can find tickets for as little as $6. If you don't hit IMAX movies often, that's a steep discount. For example, the AMC Kips Bay theater in New York has The Meg playing right now. One adult ticket for that will run you $21.99. Tickets for their Marvel screenings are just $8. Tickets are the same price at the AMC theater in Times Square, while standard IMAX adult prices are $23.29. It's a lot of films for any single theater, so it may be tough to catch your favorite because all 20 films will screen in the order they were released over the first five days. September 4 and 5 will be "theme days" focused on origin stories and team-ups. The final day of the festival will feature an encore screening of two films selected by a fan vote. That means you can get an encore of Wakanda's gorgeous vistas (thanks to Rachel Morrison's beautiful cinematography) or you can troll fans and force encore screenings of Iron Man 2 to hit theaters nationwide. Your choice. Here's the rough schedule for the marathon with films listed in screening order.